Peacefully, in his sleep passed away on Saturday June 2, 2018. He was the beloved husband of Georgina N. Brookfield (nee Moss) and loving father of Kathryn (Ric Little) of Wellington, Moss of Toronto and Gena (Gaetan Losier) of Guelph. John was the proud grandfather of Jessica Alfoldi (Daniel Doty), Lucy Butler, Jack Brookfield, Emma Brookfield and Samantha Losier and great-grandfather of Simon and Nora Doty. He will be remembered by nieces and nephews around the world. Captain John Brookfield was a proud member of the Royal Canadian Air Force, as a pilot, for more than 25 years. John also worked as a professional with Volvo Canada and Employment Canada. 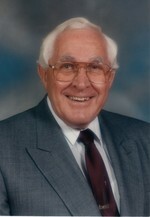 He was a proud member of Newmarket and Guelph Royal City Lions for more than 30 years.